The WA government has set aside $70,000 from its Contemporary Music Fund for the Girls Rock! WA camp. 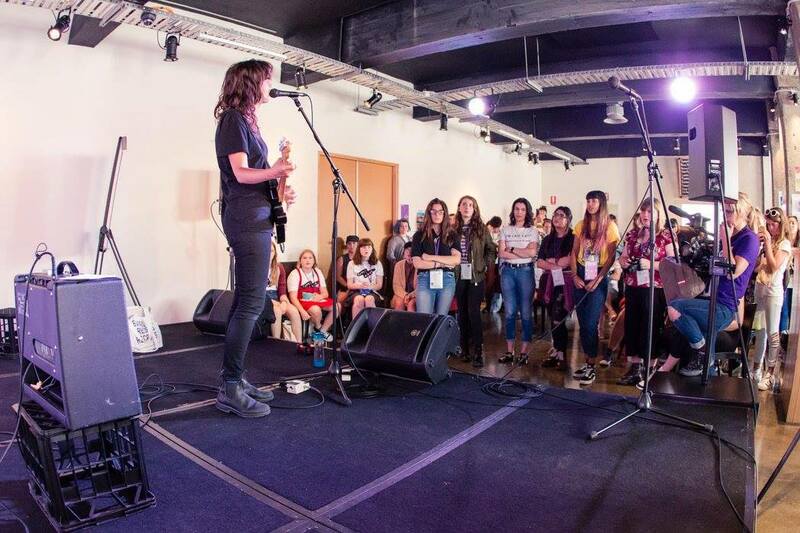 The first of the series was held last month, when dozens of female, trans and non-binary people aged 10—17 spent a week in workshops, writing and producing songs. They showcased their new songs at Mojos in Fremantle. The camp was run by peak music association WAM and coordinated by Perth radio host and musician Em Burrows. She said the whole idea was to provide confidence to those wanting to enter the music industry and give them role models by ensuring that all staff, volunteers and sound engineers were women. He emphasised it fitted into the aim of the new Contemporary Music Fund was to ensure that the state’s music scene was represented by from First Australian, regional, and cultural and gender diverse backgrounds. Announced in 2018, the Fund injects a total of $3 million into WA’s contemporary music sector over the next four years. Last month a $1 million round of funding opened for musicians to produce and promote their work nationally and internationally. Funding of up to $15,000 can apply through the year. Applications between $15,000 and $60,000 will have three rounds through the year.